This slim book is addressed to men and women and will give you the space and climate for your ideas to shift, open, and change. Adiche is a Nigerian writer who grew up speaking English and Igbo, but while Igbo was taught as a subject, English was the language of instruction and remains the official language of Nigeria. She writes that while we are all human beings, there is reason to avoid generalizations because they silence our “specific experiences.” She debunks the stereotype of a feminist. She does not hate men. She is happy. She loves fashion. 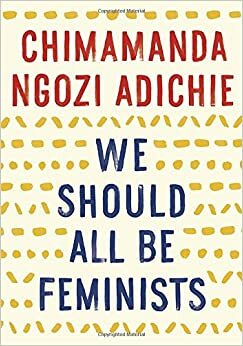 She explains why we should all be feminists–that you are a feminist is you concur that “there is a problem with gender as it is today and we must fix it.” She recounts an incident in Nigeria when she tipped a man for parking their car. The man looked at her friend Louis and said thank you instead of thanking her. The man ultimately thought her money came from the man. Our ideas shape our actions. If you like to think about what your role is in the world, and help define your ideas of what feminism is, she helps to bring you there. She states, “People make culture. Culture does not make people.” She demonstrates how we create culture and use our specific experiences -to develop healthier ways to interact with other. The book “The Tao of Wu” is written by the American Hip Hop superstar The RZA, the leader of the multi-platinum selling rap group the Wu-Tang Clan. The RZA uses his experiences growing up in the ghettos of New York City, his rise to fame and superstardom, and his travels throughout the world to relate Eastern philosophy to more understandable experiences such as life in America, chess, kung fu movies, and hip hop. 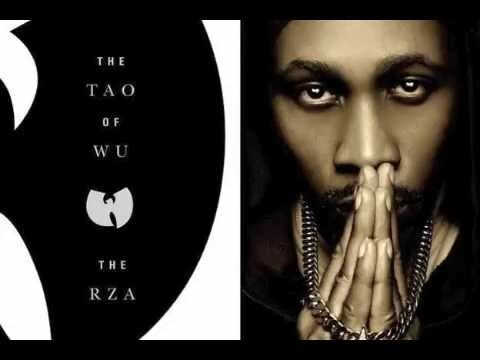 The RZA breaks down complex ideas and stories from several Eastern religions such as Islam, Taoism, Hinduism, Christianity, Buddhism, and Judaism into simpler ideas and takes ideas from each of these religions to use towards self-betterment and one’s search for happiness, spirituality, and meaning in life. The RZA grew up in harsh conditions, living in several of the worst ghettos in New York City in the 1970’s and 1980’s. During his time growing up, he learns, uses, teaches, and eventually masters the lessons from the Nation of Islam, a religious movement created in the 1930’s Wallace D. Fard Muhammad in America. This religious movement was created by and mainly for African-Americans living in harsh conditions, to give the hope and spiritual guidance to them and help them live better lives and find more success in a time which was hard for many African-Americans living in big cities throughout America. The RZA is continually referring back to these lessons during the hardships he faced in his youth to help him get through to them and help explain these lessons to the reader so they may use the lessons for guidance in their own lives. 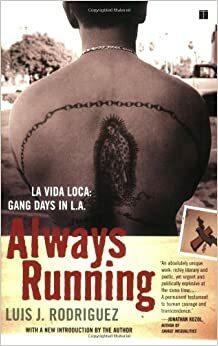 This book provided me with completely new ways of viewing things and experiencing everyday life. Before reading this book, I was completely uninterested in matters relating to religion for the most part, however, this book provided me with insight into each of the major religions and some smaller ones and rejuvenated my interest on the topic of spirituality. After learning about many of the ideas and lessons given throughout this book, I feel I gained incredibly valuable knowledge which allowed me to use parts of multiple religions to better myself as a person, without devoting myself to any of the religions themselves. 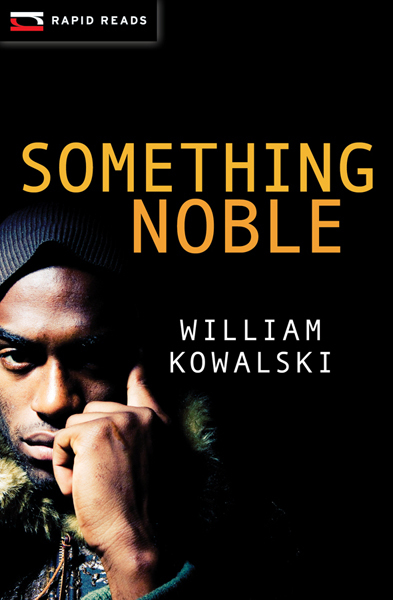 Even if you aren’t interested in the spiritual aspects of the book, it is still an incredible read if you are interested in hip-hop, especially if you are a fan of the Wu-Tang clan, or if you are interested in a story about a man who came from living in some of the harshest living conditions in New York City, and his transition to fame and fortune and his journey to cope with this radical change. 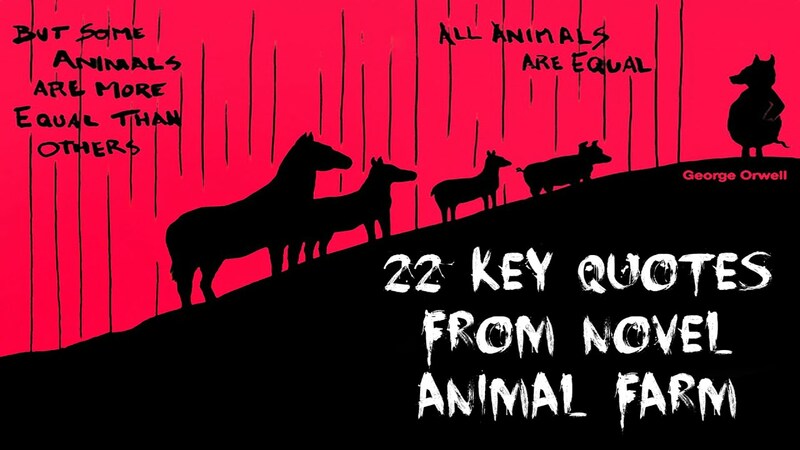 What a powerful fable of how a manifesto written by the animals for the animals goes awry. Just under 100 pages, Orwell blasts us with a vision of how egalitarian values can slowly slip away, if there is no ability to read, write, or remember on the part of the collective. Slowly, the pigs take over and rule. Then one pig, aptly named Napolean, performs a coup d’etat, ousting the other pig, Snowball, turning him into the arch enemy of the farm. Napolean leads autocratically, fueled by greed. 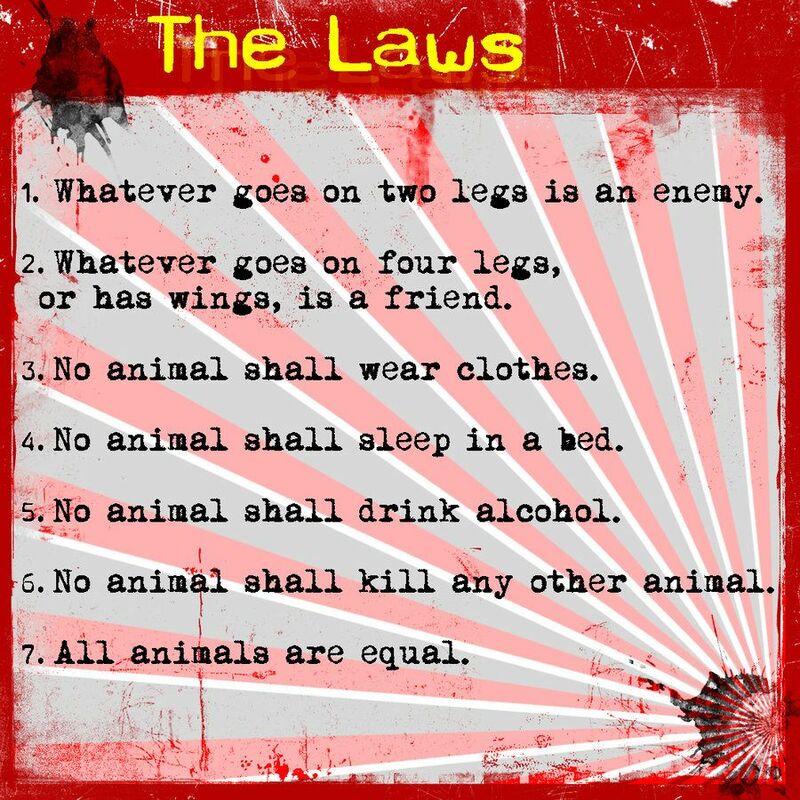 And slowly, the animals who had built their own government collectively begin to be dominated by Naploean, who little by little alters their manifesto, with very little notice or resistance. A classic and a must-read for everyone who cares about equality and democracy and free thinking. Paul Volponi is writer, teacher, and journalist living in New York City. He have taught in Rikers Island which is located in Queens, New York with incarcerated teens from 1992-1998. However when he left Rikers he taught teens in a drug treatment program. That’s where he got his explicit ability to write about urban teens in tough times. Volponi is a writer that will catch teen’s attention who don’t like to read because the story that he tells is relatable and they will make connections. I say that readers will make connections because in his books there were a lot of text-to-self in Rikers High and also text-to-world in Hurricane Song. Rikers High will get kids attention because it’s about a 17 year old kid named Martin who went to jail for telling someone where to get drugs from and while was he in jail he got slashed on his face trying to help a friend. 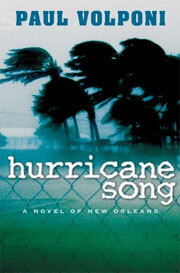 Hurricane Song is about a kid named Miles who moved to New Orleans with his father that he didn’t like and Hurricane Katrina came and destroyed everything. Then it started to gang beef and a lot of shootings because they wanted to take over the little bit of land that was left after the hurricane. 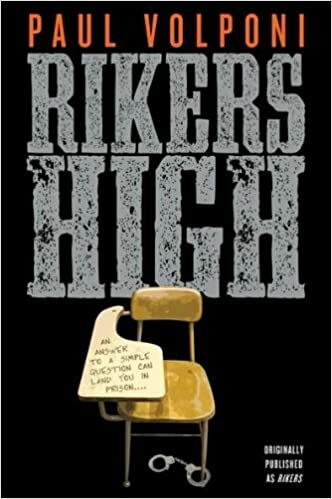 I personally like Volponi because I connect myself to the book Rikers High and I have never even been to jail before but the story sounds so real I feel like I have been. I will tell all teens to read Rikers High because that’s one of the best book I read and was actually interested in. “Paul Volponi: Teen Novels.” Paul Volponi: Teen Novels, http://www.paulvolponibooks.com/biography.htm. Marie and Lena are both motherless. Marie is black and well off. Lena is white and poor. And in the small town of Chauncey, Ohio blacks and whites don’t mix. But Lena and Marie become friends anyway. One of them has a terrible secret and the other must decide—Is it best to keep it? Or should she tell someone fast? WHERE I WROTE IT: Provincetown, Massachusetts and Brooklyn, New York. 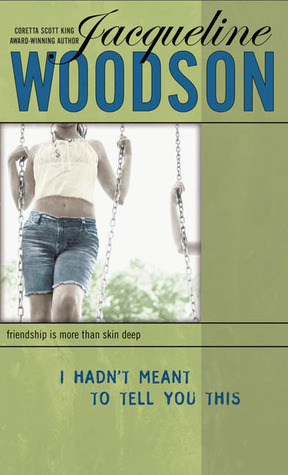 What is your favorite Jacqueline Woodson book? If you haven’t read her, I recommend I Hadn’t Meant to tell you This, Brown Girl Dreaming, Locomotion, and Beneath a Meth Moon.